This shows that this product will not catch light easily from matches or cigarettes. 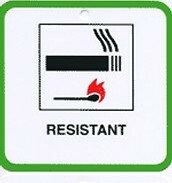 However this symbol dose not mean that the product is fire proof. This shows that the manufacturer has declared that the product meets the basic EU legal requirement. This symbol is not a safety mark. This symbol show that it meets British safety standards. This also means that the product meets strict advertising ethics. This shows that this symbol is unsuitable for children who are under the age of three years old. This shows that the British standards institution has tested this product and has found that it meets the standard for a particular product group. This symbol shows that it is a general warning symbol. This is used to alert the potential hazards of all safety messages that follows this symbol should be obeyed to avoid any dangers that may occur. It is important that you follow and read all instructions and safety marks to avoid any damage towards anyone. 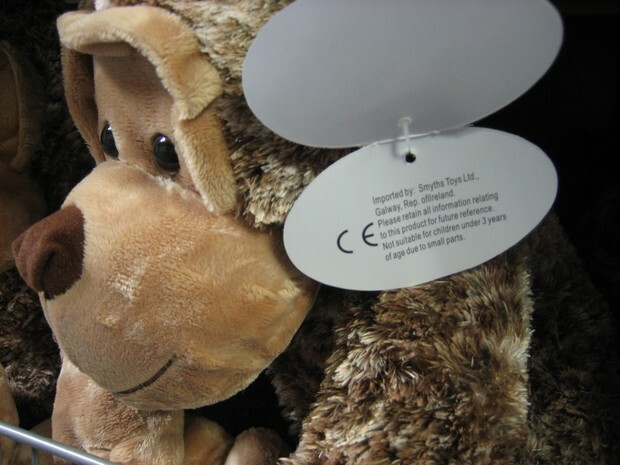 The CE mark is on a toy and other objects to show that it meets the legal requirements.